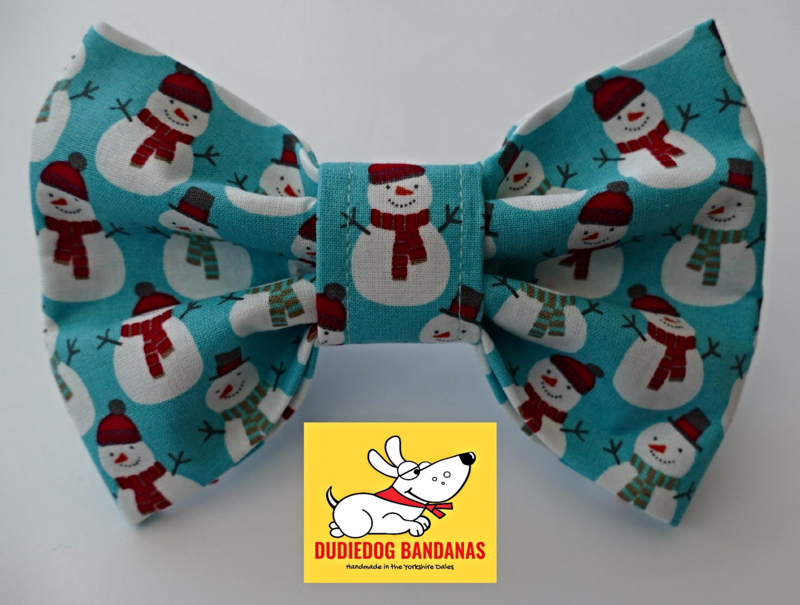 A cute Christmas Snowman bow tie for dogs or cats, made from a lovely turquoise cotton fabric with a jolly snowman print. This is a perfect Christmas accessory for any dog or cat! 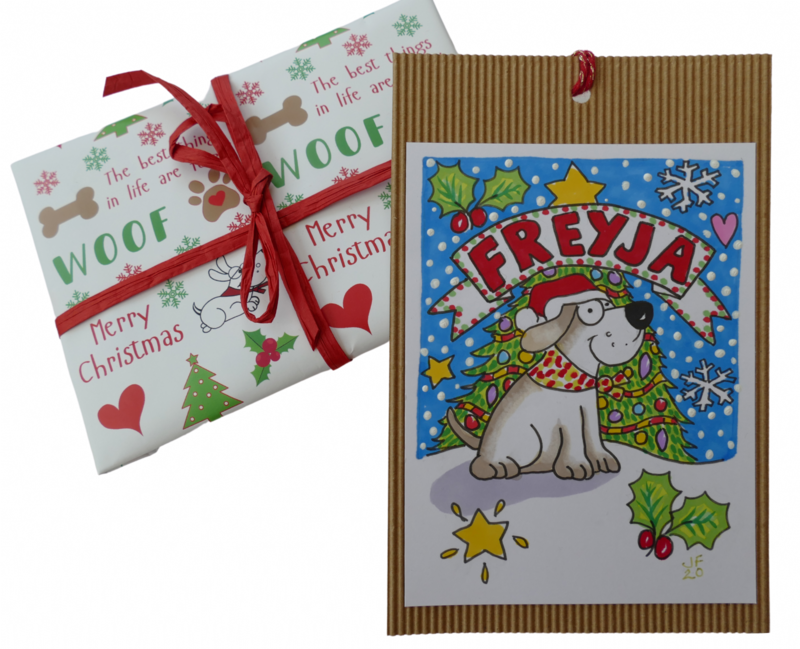 It's also the perfect pet Christmas gift or stocking filler for your 4 legged friends! "What a beautiful bow tie. Wanted over-sized bow tie for Sebbs, my jackspaniel, and the size is exactly as I had expected. Beautifully made, will look fab & fun and will send photos when he wears it. Thank you so much."